I have a severe disability, even so, the reality is that I, like many others who have a severe disability, can do much more than many believe. I should also point out that no two disabilities are the same; each case is unique. So a ‘cookie-cutter’ non-flexible approach to managing such a trip is neither appropriate nor practical. Many who know about me and the circumstances of my trip question the formulaic approach of my support services provider. I am a 55-year-old male, who was diagnosed at 14 with Friedreich’s Ataxia. This is a progressive neurological disorder, which eventually leaves the person with severe socioeconomic and medical problems. Many people, from most walks of life, believe they know best and want to stereotype people with Friedreich’s Ataxia and tell them what they can and can’t do. The reality, though, is that my disability empowers me in many ways. It is purely a physical one. 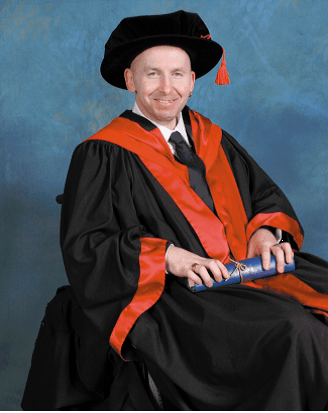 In fact, I have a PhD, which I achieved as a mature-age student at the age of 43, so I successfully completed it well into the progression of my disability. I wonder about the reasoning behind the generally assumed intellectually negative stereotypes. I have been legally blind for the last three years, my speech has deteriorated to the point where there are only a limited number of people who can understand me, and my hearing has been affected. Physically, I have extremely limited mobility. All this means that I must be realistic about the reality of my situation, and consider carefully my future prospects. My recent trip had a severe emotional impact on me, however, I think this is a topic best left for another article. But, please, I want no sympathy on that score. Instead I want to discuss the sweepingly generalised vacation policy of Yooralla, the organisation that provides my disability support and which claims to offer ‘quality, sustainable and flexible services’. Consider this article to be a case study of Yooralla’s vacation policy. Despite all the obstacles I had to face, I was determined to give this bucket-list trip a whirl. The outcomes of such a trip can be hugely beneficial. A trip like this certainly doesn’t have to be a disaster, and in fact, it can be quite an adventure. Anyone who has disabilities like myself has their own individual issues to surmount. There will be some pros and some cons, but it can be enjoyable for everyone, including the carers. But for me, and many others like me, the greatest burden is financing such a trip. 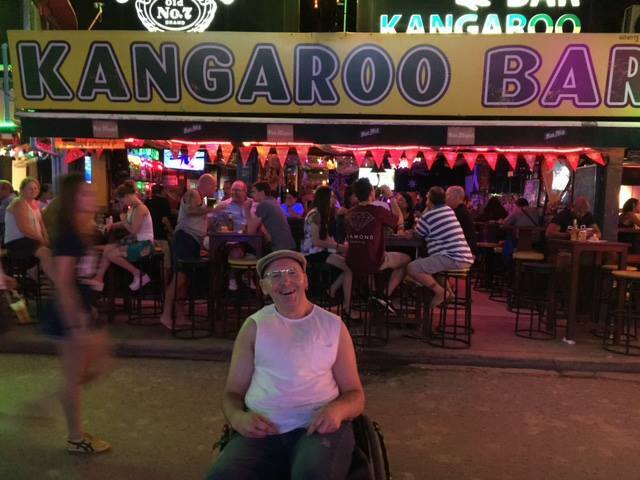 My trip to Thailand was something that was driven by my dreams and desires as a person with Friedreich’s Ataxia. I wanted a no-holds-barred bucket-list trip, and I planned on doing this within my limited budget. I have never been shy about pursuing my dreams, but my disability, along with so-called service providers like Yooralla, have turned this already difficult task into an almost impossible one. Yooralla is supposed to deliver individual support to all its residents. Although, in a general sense, we are all disabled, there is a vast difference between individual residents when we consider the complexities of biomedical matters, and the socioeconomic and physiological problems concerning our disabilities. It is a fact that all disabilities are different. So why does Yooralla have such ‘cookie-cutter’ formulaic policy when it comes to residents’ vacations? I should point out that previously I had been on a trip to Hawaii with the assistance of two support workers from Yooralla. At that time, I paid for all flights and accommodation, and other smaller expenses, like food, while Yooralla paid for the support workers’ annual leave. The introduction of Yooralla’s new policy has greatly affected the extent of this financial cost for individual residents. I planned the trip to Thailand with the assistance of my regular, and very much appreciated, Yooralla support workers, as well as my academic support worker. However, about two weeks before Christmas, I was informed of the new vacation policy’s onerous rules. This policy was read out to me by a support worker who also handed me a copy. I read it carefully with the help of my support workers, and learned that in addition to the cost of my carers’ flights and accommodation I would also have to pay something called an ‘individual support package’ of about $44 an hour, 24 hours a day. This is distributed by Yooralla, with $24 going to the support workers, and the rest going to management. This financial impost added about $1056 per day, per carer, to the cost of my trip. Such a cost, for a very physically disabled man, like myself, is an impossible hurdle. After paying rental allowance and other necessary extras to maintain my life, I am left with a disposable income from my pension of about $200 a fortnight, besides unforeseen costs. This leaves me with very little money to save. This policy was initiated in March 2016. The whole process of organising my trip frustrated me so much that I made some stupid mistakes concerning my processes of care. In wishing not to subjectify myself to Yooralla’s vacation policy, my key carer had previously resigned from Yooralla and my other carer was privately hired in Thailand. I planned to pay for all my key support worker’s travel expenses – including food and flights, an equivalent standard of accommodation to my own, and an upfront bonus of $1,000, as well as a worthwhile gift. This was all the money that I had at the time. I tried to do it fairly so I could create a win–win situation for my support worker and me. I have two issues with Yooralla’s vacation policy. First, this policy does not recognise that 45 per cent of people with disabilities live in poverty (as stated in this article – this is part of a complaint to Yooralla). And, second, the fact that I was unprepared for my choice of care on what was to be a momentous trip for me. I had my heart set out on taking my current and trusted support workers from Yooralla, but because of Yooralla’s vacation policy, this was impossible. This was disappointing as this trip represented so much, and it was likely to be my last because of my deteriorating medical disability. Was this a bucket-list trip that I had planned? Despite my initial anger and frustration, I could have thought more clearly and developed a correct response in these situations. In hindsight, I believe a bucket-list trip should never be hastily planned, and we have to make sure that all socioeconomic plans can be fulfilled. Special thanks to Christina Irugalbandara, my brilliant academic support worker and to Susan Prior for her excellence and professionalism in editing and proofreading. See her work on her website: www.write-now.com.au.